Okay guys! 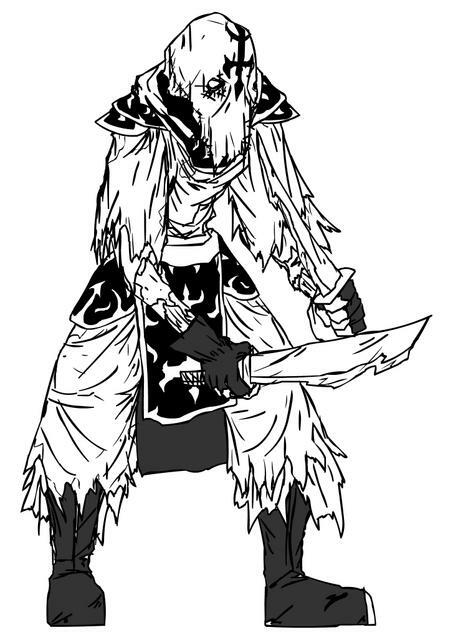 This is for a Horror game in the works with the ZEQ2 team that Zeth has wanted to get into. 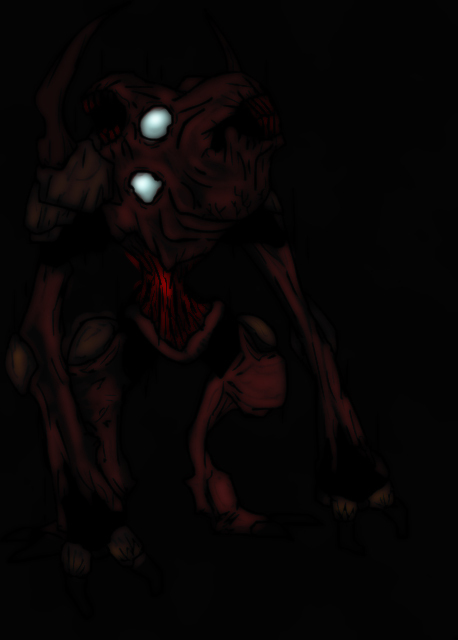 I've been a concept artist for the project and hopefully we can evolve this into a very terrifying game. I'm gonna post my work and explain a bit of what each creature is going to do. Give comments, hope you enjoy it. 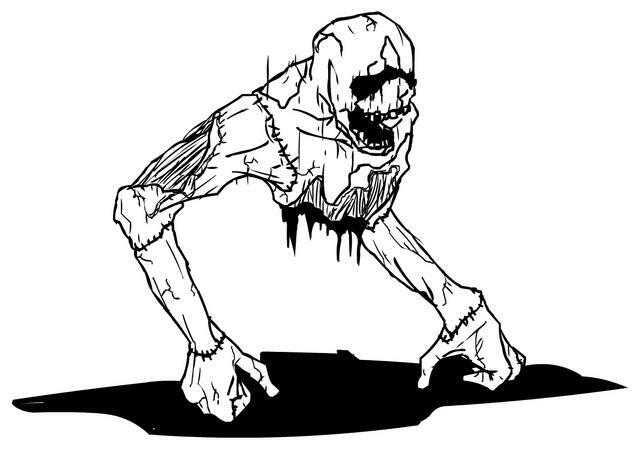 * Monsterous Beings - Living manifestations of the mind and fear itself. Almost all of them are openly violent and horrifying. No one knows how they came to be, but they mindlessly slaughter all in their path. Some should be avoided at all costs. * Soulless - An abnormal phenomena that has been affecting humanity. One's identity suddenly becomes a twisted reality and amplified into a deadly force. The soulless move and act as if possessed or hypnotized into a trance. This threat has caused mankind to become more paranoid of each other. * Ghosts - Hauntings of the damned or more images from our own fears. Most ghosts are unable to harm individuals. However, they can create blackouts, force objects, create shadows, interrupt radio communication, or stalk unsuspecting prey into a terror. * Whispers - Possible calls from the beyond. Whispers communicate with you in forms of whisper, talk, or screams. They lead many to grow insane and can distort images into your head. Though they cannot openly harm you, they can drive one to harm others. ** Unknown ** - A creature with no certain purpose and seemingly limitless ability. It cannot fit into any particular category. It is not openly aggressive nor passive. Nothing can be made out by its appearance. Close interaction can cause headache, pain, sound distortion, impaired vision, and blackouts. Remember, this is only to display the idea, not the art. Trust me, I can do better, but time was an issue and I've done these in college. Enjoy. Sounds very intriguing... But the moment I wished for some fright I somehow lost my ability to get really frightened. 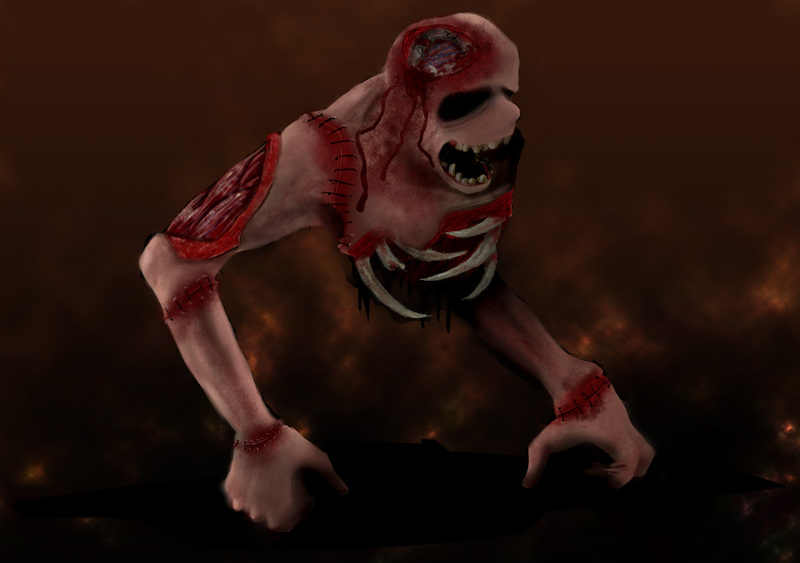 This is a Horror, one of the monstrous creatures in the game. The Horror can break down barricades and unleash ear-piercing screams. It's armored and hard to take down normal weaponry. Prolonged hearing of its screams can distort vision. This is an example of one of the soulless. The Mangler is the Soulless of your average church-goer. They have been twisted into an unholy zealot bent on the annihilation of the living. They are madmen that can endure a surprising amount of pain and use kamikaze tactics. 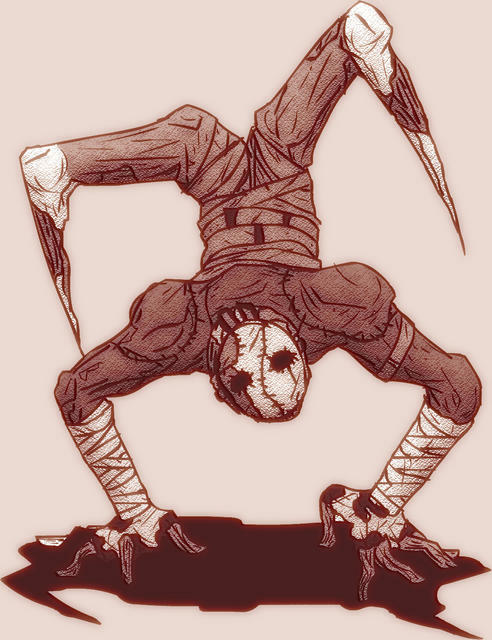 The Broken are tortured beings that hide in dark places, usually under crates or in corners. They have developed an strange ability to scale walls and ceilings as well. They like to lay in wait for victims and then attack. One of the updated pictures of the Abomination. 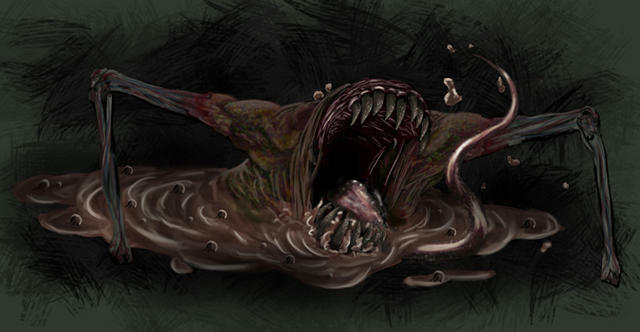 The Abomination is a vile creation that exhumes acidic vapors. Its liquid structure makes it hard to destroy. By using its tongue, it lashes out attacks and drags in victims. It also releases acidic pools to protect itself. Some of you have already seen this one, but its still a good edition. The Psychopath. The Psychopath is a crazed being that breaks into convulsions and has a spastic, twisted nature. They are incredibly fast and are extremely deadly close-range. 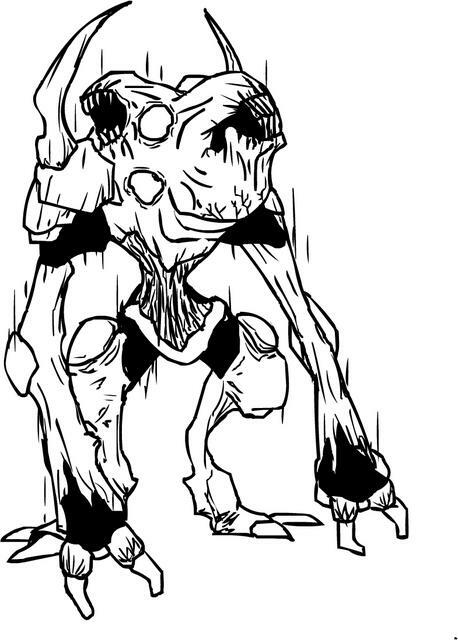 They are able to use their sharpened limbs as dicer. The Behemoth is a king of strength and power. It is able to bend steel, lift heavy objects, break walls, and take down individuals in one blow. It absorbs shots in it's shadow-like skin, making it hard to take down. It should never be engaged alone. Sounds like a cool idea. 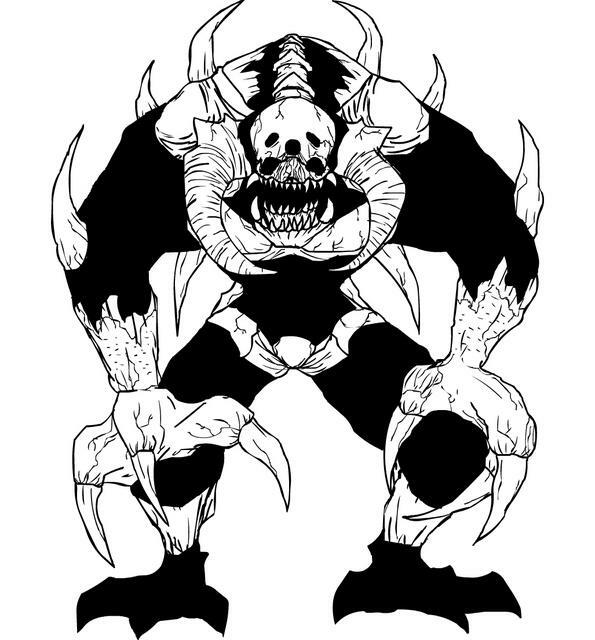 I agree that the Behemoth should have the feeling of being unstoppable, like have the player the size of it's shin bone or something. SO how is this going go be? Will we hunt for those creatures and kill them? Looks like a combination of Doom 3 and Silent Hill. Great stuff man. "Unknown" plays on multiple types of horror; encompassing both psychological and shocking. The game (or rather, "experience") is best described in situations, rather than direct elements. We'll try to supply you with as much information as possible. Although the project is still in planning stages, we could really use a few new faces for it. Any of you that have even coloring/shading ability should try out your talents on one of Roger's drawings. Even concept artists are welcome at this stage. I somehow lost my ability to get really frightened. We'll fix that quick, I assure you. You will simply try and survive... the embodiment of a horror at it's finest. Roger has really been striving for an original style, but it gets quite difficult when you add even a VAGUELY familiar aspect that games or horror movie enthusiasts can relate to. The game style will be like nothing else in existence -- so much to the point that a new genre might need to emerge to define such a project. The game will literally send people to insane asylums -- causing subjective insanity in real life. We like to aim high though, of course. Hehe. I didn't say survival horror. It's not like anything in existence. Period. It wouldn't be scary if you knew your health and ammo, now would it? But does it mean that you shall spend more time developing Rogkun's game than Zeq2? ZEQ2 and Unknown are two separate projects with two very different needs and two different project teams at the moment. Unknown is still in it's planning stages as previously mentioned. It won't begin development for some time. Here's a colored version from Icarus. If anyone else is interested in giving a go at coloring some of the concepts, go right ahead. The project could always use more help in any project facet -- concept art direction included. Could you make it a bit more bright Shako? Just finished up another one of Rog's awesome concepts. Wow, that is a really nice color job. I like the feeling of depth you added, makes it almost look 3d.